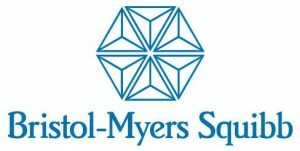 Bristol-Myers Squibb have announced positive third quarter results for 2014, beating earlier forecasts after stronger-than-expected revenues for the period. The biopharmaceutical company posted earnings on Friday of $721 million, or $0.43 a share, an increase from earnings of $692 million, or $0.42 per share, in Q3 of 2013. Once adjusted for special items, Bristol-Myers Squibb’s profit came in at $0.45 a share, exceeding the average prediction by analysts surveyed by Zacks Investment Research of $0.41 a share. Bristol-Myers Squibb announced sales of $3.9 billion, based on a solid performance from many of the company’s key medicines. Excluding the divested Diabetes Alliance, global revenues increased by 7%. Turnover of the cancer drug Yervoy jumped 47% to $350 million, while their leukaemia treatment, Sprycel, increased 22% at $385 million, and the rheumatoid arthritis drug, Orencia, grew 18% to $444 million. Sales of Bristol-Myers Squibb’s bloodthinner Eliquis soared from $41 million in the third quarter last year to $216 million.